Understanding geothermal energy includes understanding what exists inside the earth. 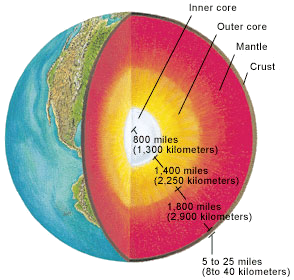 In simplest terms, the earth is composed of its inner core, surrounded by its outer core, surrounded by the mantle and finally the crust (see below image). Within each of these sections there are significant temperature differences (see below image). 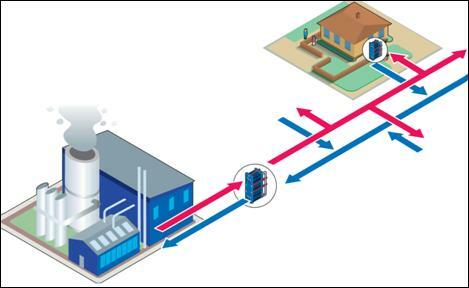 The basic mechanism for generating electricity from geothermal resources is quite simple. 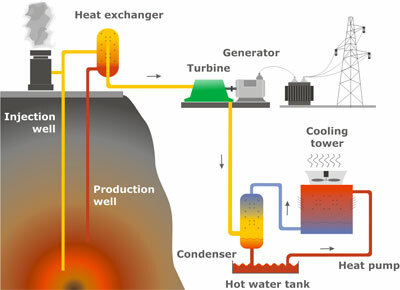 This involves using heat from below the earth’s surface to heat water, which is then used to drive a turbine that connects to a generator that generates electricity (see below image). Several variations to this system exist, including pumping up pre-existing heated water or steam from below the earth’s surface as the source of water, as well as pumping surface water down to a heated area below the earth’s surface where it becomes heated and then pumped up again. 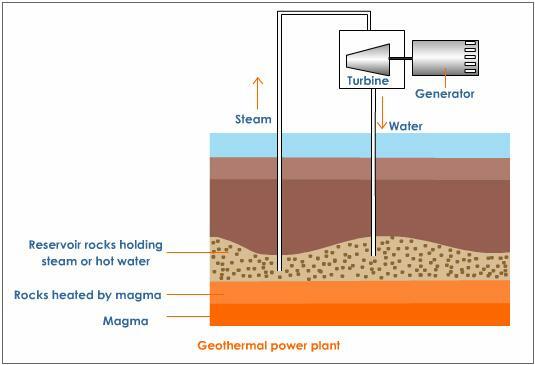 There are several technical setups for generating electricity from geothermal conditions (see below images). An important issue in creating geothermal power plants is finding areas that have practical access to underground heat supplies, such as where the earth’s tectonic plates meet and provide large amounts of heat close to the surface (see below image). As mentioned above, drilling for geothermal projects can cause earthquakes and several have been abandoned because of this (see below article). In the process of creating geothermal plants, drilling poses the greatest problem. The companies best equipped to take advantage of geothermal energy are the existing oil and gas companies because of their advanced drilling technologies. However, ironically, these same companies have the least financial interest in doing so because it would directly compete with their existing business models (see articles below). 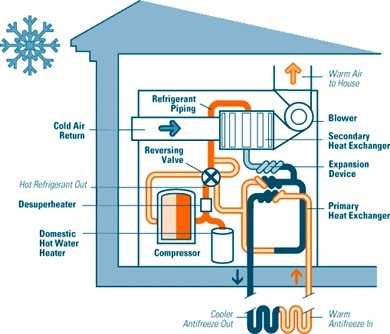 Geothermal heating and cooling exists in two primary forms. The first is to take advantage of heat sources lying close to the earth’s surface in order to transfer heat above ground and distribute it as a radiator does to heat homes and other spaces. The second form takes advantage of the relatively stable temperature that exists everywhere else just below the ground in order to compensate for the difference in the more variable air temperatures above the ground. 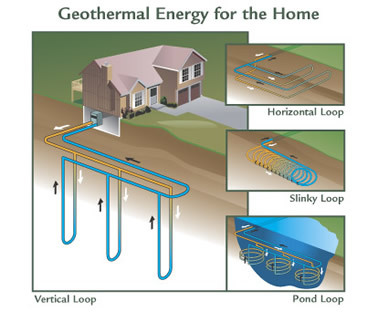 Geothermal heating using below surface heat sources usually involves larger installations where heat can be pumped up and distributed to large numbers of recipients. A good example is the geothermal energy complex that exists in Iceland. There, heat from natural sources below the ground is distributed throughout living areas including buildings and roads. These larger geothermal plants usually combine heating with electricity generation. A more immediate and widespread method of taking advantage of geothermal conditions is using the temperature stability that exists just below the ground. In simplest terms this involves sending a liquid from above ground through a piping network buried below the ground. As the liquid moves above and below ground it is able to transfer the differences in temperature between the two mediums. Above ground the liquid is controlled by a geothermal heat pump that works like a refrigerator or in reverse and has the added advantage of being able to draw on both air and ground temperatures. It can extract a temperature condition from either the air or the ground and then transfer it to the other side. A temperature transfer from air to ground allows for the transferred temperature to be stored in the ground, which can then be used at a later time. 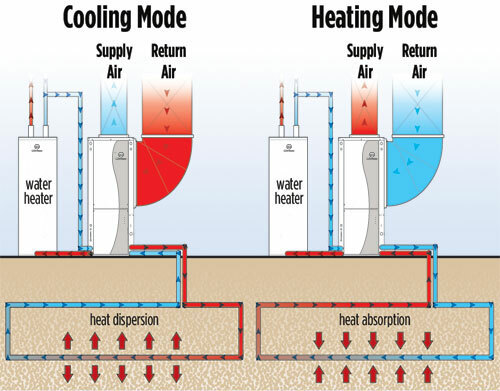 Reversing this process allows for control of the air temperature above ground (see below images). Because heat pumps need power, systems exist that include solar panels to provide the electricity. Such systems allow for complete control of a home’s temperature conditions while being completely independent from third party energy providers.